The Gunblade is a snappy optical gaming mouse. 4-level adjustable DPI setting and report rate setting are available for precise control. It offers programmable buttons and comfortable ergonomic handle. Optional backlit mode and DPI Indicator light are designed to enhance gaming atmostphere. It could be your essential computer accessory to skyrocket your performance. Gunblade is designed according to ergonomics, and offers ultra-comfortable handle. It fits most of grip-style, hand shape and size, which enables you to continue dominating without any strain on your hand, even during the most taxing of gaming marathons. 8 buttons are placed well based on the habit of using fingers, which makes it easier and faster to identify the individual buttons with less misclicks. Unique design with honeycomb pattern at both sides increases friction, helping you boots your in-game precision and accuracy! Smooth plastic on the front and skin-friendly rubber on sides makes your palms and fingers comfortable. Except left click button, other buttons are programmable on Gunblade. 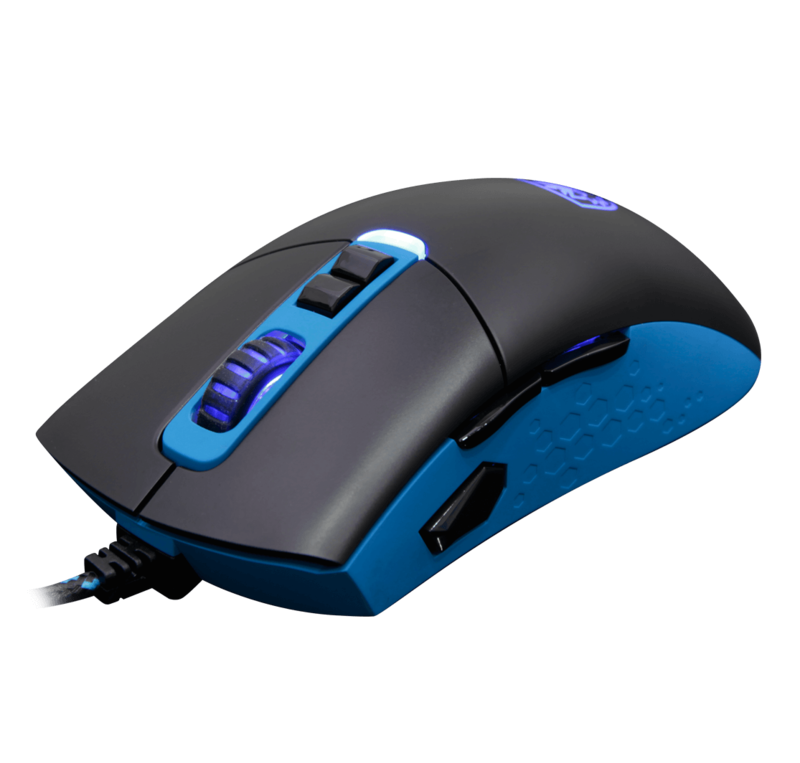 You can customize your mouse setting to react quickly even during intense gaming and strike your rival before he acts. Gunblade has 4-level adjustable DPI setting, enabling gamers to select the most suitable DPI quickly.